Pierre-Auguste Renoir, a master painter of the French impressionist school, deftly mixed colors to paint women's pale skin in a method that closely resembles contemporary makeup techniques, cosmetic firm officials have found. Renoir applied proper makeup on the women (in his paintings) in a way that is close to contemporary makeup methods. SPECIAL NOTE : The painter will make the reproduction as close to the original oil painting as possible. 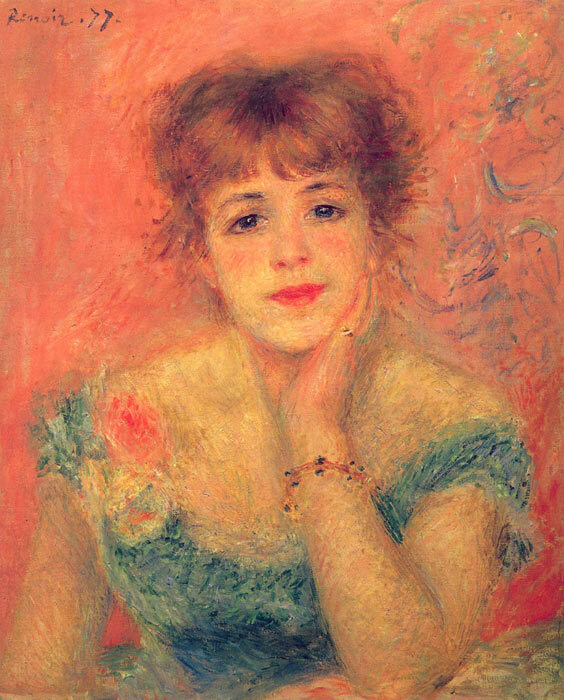 If you want your painting to alter from this likeness, please email us and " Jeanne Samary in a Low-Necked Dress, 1877 " will be reproduced according to your special requirements.